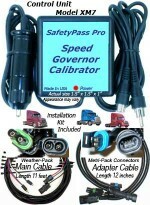 Smoothes out speedometer action and corrects voltage. 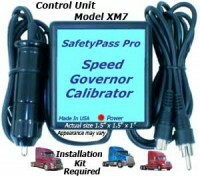 Use if you get an error code when first turning on the ignition key or if speedometer unsteady. Use RCA adapter ONLY if you need to. If you can't Get anything to work, let us know because their are a few more adjustments we can try. Connect this adapter to the Brown/Yellow wires on the install cable. Connect RCA Plug from control unit to the adapter. Other RCA lead from control unit connects directly to theBlack/White wires on the install cable. 1 Yr. Repair or replacement Warranty. Includes a 30 day Money Back Guarantee if not totally satisfied. Just return it within 30 days of purchase in resalable condition and receive a prompt and courteous refund. 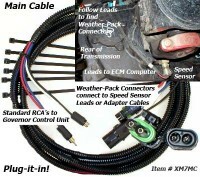 Click the button below to add the RCA Voltage Adapter XM7R1CR to your wish list.